Boyden looks every bit the cool urban writer, and he is equally at home with his family near the Ojibwe communities of Georgian Bay, or fishing or hunting moose or caribou, which he loves to do with his Cree buddies in the bush of the southern James Bay region. And then there is his life in New Orleans, where he teaches writing at the University of New Orleans (Boyden’s alma mater) and shares a house—a converted corner grocery store in the Mid-City district—with his wife, novelist Amanda Boyden. Boyden was born and raised in the Toronto suburb of Willowdale, the third youngest of 11 children. His ancestry is of mixed Irish, Scottish, and Ojibwe blood, essentially English Métis. His father, a doctor and the highest decorated medical officer in the British Empire following the Second World War, died when Boyden was only eight years old, and his school teacher mother raised her large family with the help of Boyden’s older sisters. Despite the suburban location of their home, both sides of the family had close ties to the ways of Ojibwe people in the Georgian Bay area. But it would be even farther afield, among the Ojibwe’s northern cousins, the Mushkegowuk Cree, where Joseph Boyden would find his writer’s voice when he was in his mid-20s. It’s the voice that produced Born with a Tooth, a collection of short stories, followed by the novels Three Day Road and Through Black Spruce, which won him the Scotiabank Giller Prize in 2008. (Boyden has plans for a third novel that would make the series a trilogy.) That voice came naturally to him after he spent several years teaching Aboriginal communications at Northern College in Moosonee, Ontario, and other isolated Cree communities near James Bay. This is the land of Xavier Bird, the main narrator of Three Day Road, the Cree sniper in the killing fields of Ypres and the Somme in the First World War. It is also the home of Xavier’s granddaughter, Annie Bird, one of the voices in Through Black Spruce. Boyden started writing when he was a teenager—a highly sensitive, deeply unhappy, self-destructive teenager. “Writing saved my life,” he says. “When I was a teen, I was travelling down a pretty dangerous road, getting in trouble a lot. Like a lot of teens, especially teen boys, I suffered pretty hard. I had a deep anger that was really sadness disguised as anger. Instead of turning that outward on others, I turned it in on myself and attempted suicide seriously a couple of times, once even throwing myself in front of a moving car.” Boyden turned to writing in an attempt to express himself. “It was very angst-ridden, bad teen poetry,” he says, laughing, “but writing it totally helped.” That escape from destructive teenage furies is the foundation on which he has built his successful writing life. Boyden’s latest project is his first non-fiction book, Louis Riel & Gabriel Dumont, a short history of the two Métis leaders. It’s part of Penguin’s Extraordinary Canadians series, edited by John Ralston Saul. For the first time, a writer with Métis roots has written about Riel and Dumont, and for the first time, a major biography focuses on them together. Riel was the deeply Catholic political agitator and visionary leader of the prairie French Métis; Dumont was the leader of the buffalo hunt, a military tactician, an expert horseman, a speaker of six Aboriginal languages, and a master of living on the land. These two very different men came together in the 1880s and led the fight for Métis rights, a fight that ended in Riel’s execution by the Canadian government in 1885. Boyden is deeply sympathetic to the cause and worked hard to tell the true story through the use of a first-person narrative. “For me, the narrative was trying to get into the heads of these two extraordinary men. Dumont was much easier … He reminds me of First Nations people I know. Riel was more difficult, but I knew I had to try. I wanted to bring back a little of the excitement of the history. I wear the academic hat part of the year [at the University of New Orleans] and, boy, sometimes we academics are really good at taking the life out of the history, and I wanted to bring that back in. 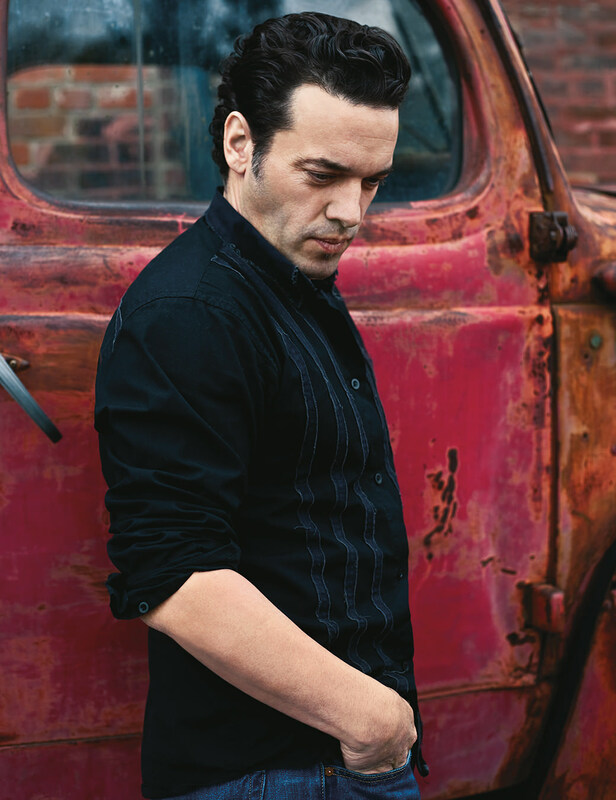 Joseph Boyden was photographed in the Distillery District, Toronto. 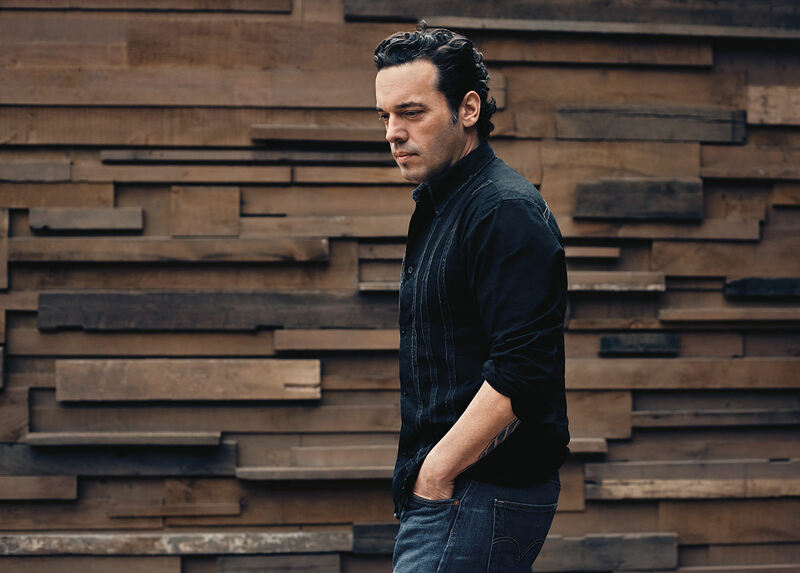 This is Joseph Boyden’s own harmonious balance: the contemporary world of a celebrity writer and the traditional pathways of the Ojibwe and Cree; suburban Toronto, New Orleans, and Moosonee; his Irish-Catholic upbringing and the holistic sacred traditions of Aboriginal spirituality; the life he shares with his wife, and his extended Métis families. He found his voice, came to consciousness on the margins of mainstream culture, and by embracing all that was authentic in himself, found healing.